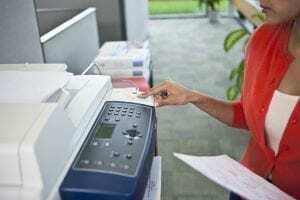 The AltaLink C8000 series multifunction color printer offers exceptional performance, value, and the features you need to boost productivity and streamline your workflow. Designed for demanding business environments, the AltaLink C8000 series of printers will ensure that whether it’s printing, scanning, or faxing, you’ll be able to complete your projects in ways that you only dreamed about with other workstations. At the heart of the AltaLink C8000 series of printers is the unmatched image clarity you’ve come to expect from Xerox printers. The AltaLink C8000 series offers color printing in resolutions up to 1200 x 1200 dpi, scanning up to 600 x 600 dpi, and with printing speeds up to 70 PPM. With integrated functionality allowing for scanning to cloud services such as Dropbox, Google Drive, and more, you can get your documents where you need them, when you need them. Scan directly to cloud services including: OneDrive, Dropbox, Office 365, Google Drive, and Box. Print resolutions up to 1200 x 2400 dpi, copy resolutions up to 600 x 600 dpi. Mobile connectivity for Apple / Android / Google devices. Wi-fi direct printing with optional Xerox USB Wireless Adapter. Customizable User Interface with Xerox App Gallery and Xerox App Studio. AES 256-bit, FIPS 140-2, and validated HDD encryption. Image overwrite, McAfee ePolicy Orchestrator, job level encryption via HTTPS, McAfee Integrity Control, whitelisting. 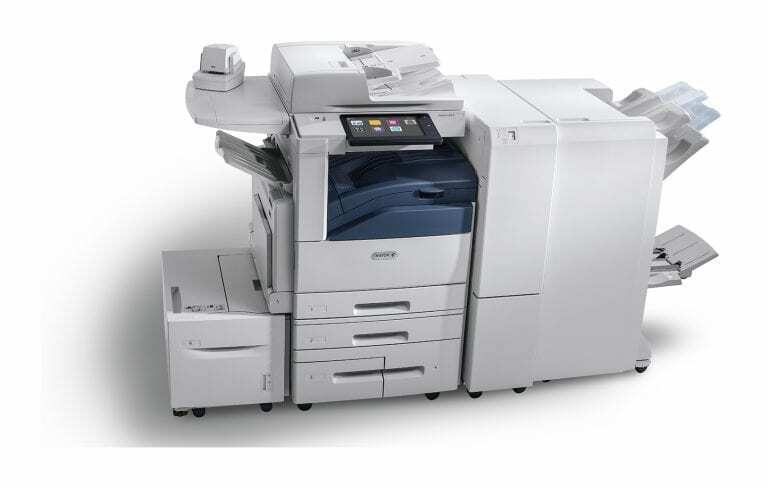 Xerox Print Management and Mobility Suite. Monthly duty cycle up to 300,000 pages (AltaLink C8070). 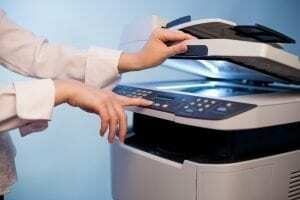 Black-and-white printing speeds: 30 / 35 / 45 / 55 / 70 PPM. Color printing speeds: 30 / 35 / 45 / 50 / 70 PPM.